BlytheLife.com » Could I Have Only One Blythe? This question has a long and storied answer for me. The long and short of it is yes – if push came to shove and I had to downsize, I would. Whether for space or financial reasons, if I had to sell I (most likely) probably would. But I wouldn’t sell just to get down to one doll again, because that would be terribly time consuming as well as being mildly impractical (since I could give you all so many reasons why I would not sell each and every single one of my dolls). My doll family has come a long way since 2009! 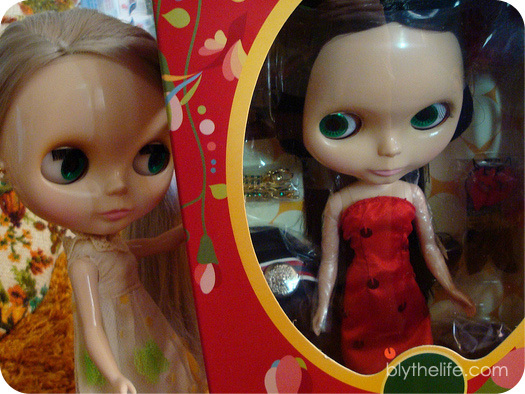 At one point I actually only had one Blythe, but that lasted for about a month before my second Blythe arrived. I was good for a month, and it was all downhill (uphill?) 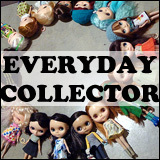 from there in terms of my Blythe collection. The growth of my doll family has considerably slowed down over the years as the dolls begin to take up more room, and I have found myself being more and more selective with which doll that I bring into the family. I have purposefully sought out dolls in molds that I didn’t previously own (Kindred [Velvet Minuet/SBL], unnamed ADG, Lottie [Mondrian/BL]) to round out my collection. I still have a vision of a custom I’d like, so I am saving up for that (and I do have the new October release coming to me later this year… Happy early birthday to me? ), but otherwise I’m in a spot right now that I’m quite content with my collection and see no signs of needing to downsize. 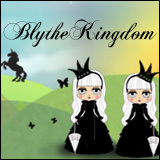 Have you ever felt the need to get to just one Blythe doll? Or are you more like me and would only sell if absolutely necessary? I think I would find it easier to cut down to just one than to, say, three!! My forever girl is obvious to me, but trying to pick any others gets difficult QUICK! I’m there now and I’m happy because now I can afford to spoil her with expensive goodies that I couldn’t have afforded to buy in multiples. I would only go to just one if I absolutely had to – it would be so difficult to part with the others! 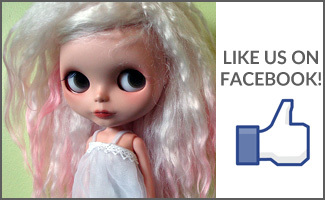 I sometimes envy people who only have one Blythe but they usually have a multitude of other dolls. 🙂 My first Blythe was alone for about half a year and that was fun because she got all the love and presents. I only sold 1 blythe in my ~8 years of being into Blythe hobby and I don’t like even the idea of it. I bond with Blythes really strong.